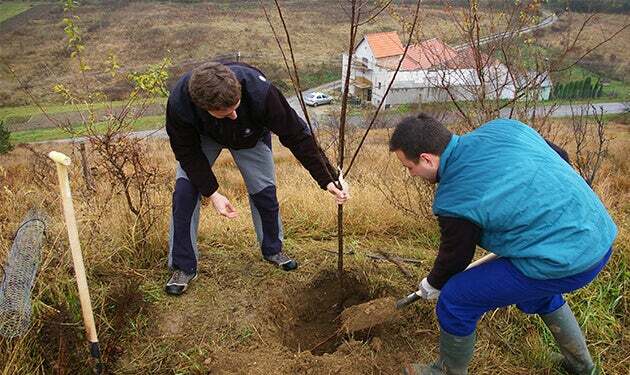 Yes, We Can: 60 Trees planted, 0 Developers Injured! Check out the big finale of the “Trees for Bugs” initiative. It’s been more than year since we first discussed the idea of planting a tree for each bug found in our CMS. Last Saturday, the idea came into fruition – we planted trees for each bug found in Kentico CMS 4.1! The little bit rainy and chilly weather on Saturday morning couldn’t stop Kentico Software volunteers from driving to the village of Snovídky, where the trees were to be planted. Historically, the place was a quarry. Later on, it was turned into a recreational area with a dance floor but unfortunately, it was later abandoned and destroyed during the years 1968-2005. 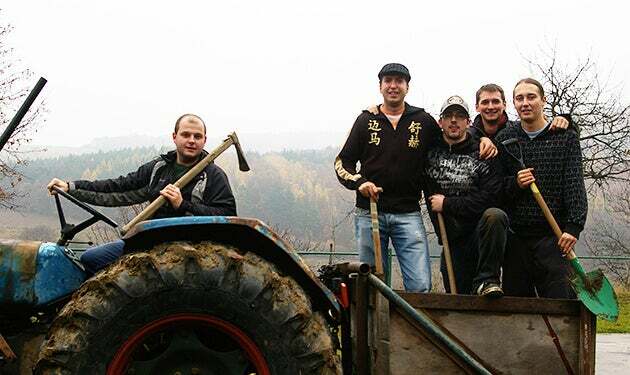 Since 2006, the CSO “Šuterňa” has been renovating the place and planting trees in and around the area as only one of their projects. It’s great to know that your effort supports such a valuable project! As mentioned earlier, we planted almost one hundred trees that day, even though we needed only 60 to cover the reported bugs. Each of these trees was dedicated to the client who reported the bug. If you'd like to visit your tree in the future, you can visit Snovídky! Some of them are Plums and some are Sweet Cherries, so please don’t hesitate to taste your fruits (on the other hand, a massive harvest each year is not the best idea ;) ). Let me express many thanks to those whose helped in this successful initiative - Miroslava Drobílková from “The Czech Environmental Partnership Foundation” and Petr Machač from CSO “Šuterňa”. Many thanks also to all the Kentico employees (and their partners!) who participated in planting the trees.